This is just another one of those oddities that one discovers while doing genealogy. The Moreau family of Bertherville, Québec, Canada is related to me because Anthime Duplesse Moreau (1876-1947) married Marie Victoria Olivier (1876-1945). Victoria was the niece of my great-great-grandmother Cordélie Olivier. Joseph Jean Baptiste Moreau (1901-1966) married Marie Auréa Elienne Brissette (b 1905). Marie Aurore Paméla Moreau (b 1905) married Armand Brissette (1904-1956). Marie Angélina Moreau (b 1903) married Roméo Brissette (1902-1972). 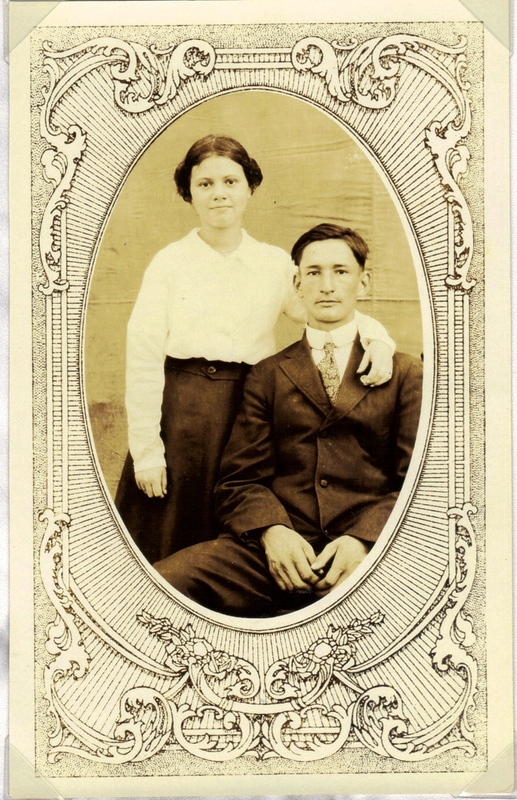 Joseph Ovila Adélard Moreau (b 1910) married Adrienne Brissette (b 1912). Joseph Ulric Donat Moreau (b 1912) married Marie Jeanne Simonne Brisette (1916-1935). Marie Blanche Délia Duplessie Moreau (1902-1927) married Joseph Sylvio Brissette (b 1899). When Délia Moreau died in 1927, Sylvio married Délia’s sister Marie Exilda Aldéa “Aldéa” Moreau (b 1909). Sylvio had TWO Moreau brides! Genealogy is full of weird coincidences. Like the fact that, in the 1930 census, the family of my great-aunt Emilie Schmidt was living directly next door to my great-grandfather Oscar Krueger in Wausau, Wisconsin (213 and 215 Weston Ave). The two families wouldn’t actually be related until 1945, so it was just a strange coincidence. “Leiden Street, Plymouth, Massachusetts. This is the street where the Pilgrim original houses were located. Stephen [Hopkins]’s plot was located where the shorter, two-story building is, at the left side of the image. The three-story house [directly adjacent] is sitting approximately on John Howland’s plot”. So it’s a fact that the home where my 12x great-grandfather (and also my 11x great-grandparents Constance Hopkins and Nicholas Snow) lived was directly next door to my ex-girlfriends’ grandparents’ home. I’m currently working on a lot of the lines of my father’s family that go back to the Pilgrims, and it’s just a twisted knot to untangle. So many of those original Pilgrim lines married and intermarried that many of my grandparents are my grandparents multiple ways. It makes sense if you consider how few families were living in the Massachusetts colony between 1620 and 1660. 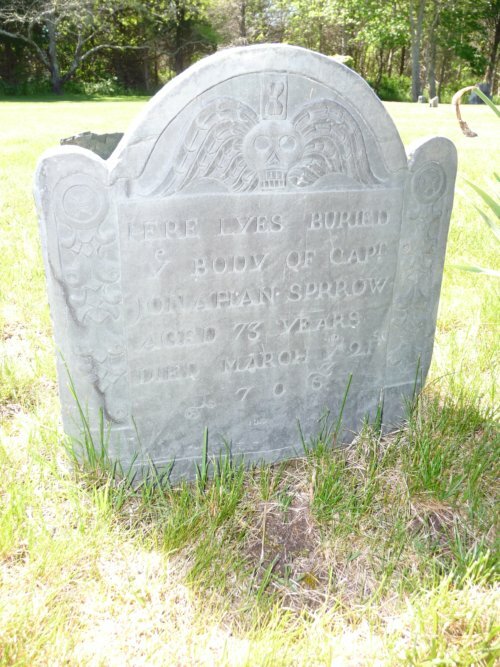 Capt Jonathan Sparrow (1633-1706), is my 10x great-grandfather. His parents were Richard Sparrow (1601-1660) and Pandora Bangs (1605-1661). Pandora had a brother, Edward Bangs, who married Rebecca Hobart. Capt Jonathan Sparrow married Rebecca Bangs (1636-1677). Rebecca was the daughter of Edward Bangs and Rebecca Hobart. So Capt. Sparrow married his first cousin. Not only that, but his 2nd wife was Hannah Prence, who was also my 10x great grandmother from her 1st marriage to Nathaniel Mayo. Further complicating things is the fact that Richard Sparrow, the son of Jonathan Sparrow and his second wife Hannah Prence, is also my 9x great-grandfather. Additionally, another daughter of Edward Bangs and Rebecca Hobart, Apphia Bangs is also my 10x great-grandmother. I had started a “Multiple Grandparents” blog previously, but at this point it would be so long as to be tedious both to read and to maintain. I’ve decided to make a category for “Oddities & Curiosities”. Things that don’t really warrant full blogs, but just short blurbs about unusual things I find in my family research. Today I was doing work on the French side of my family (the family of my great-grandmother Delia Rosanna Bacon) when things started seeming really familiar (no pun intended). I realized eventually that MANY branches of my French Canadian family are intertwined multiple times. This makes sense. It was a small area, people were not mobile, and they tended to marry in the same Parish or at least denomination. This usually leads to a small pool of families from which to choose mates. 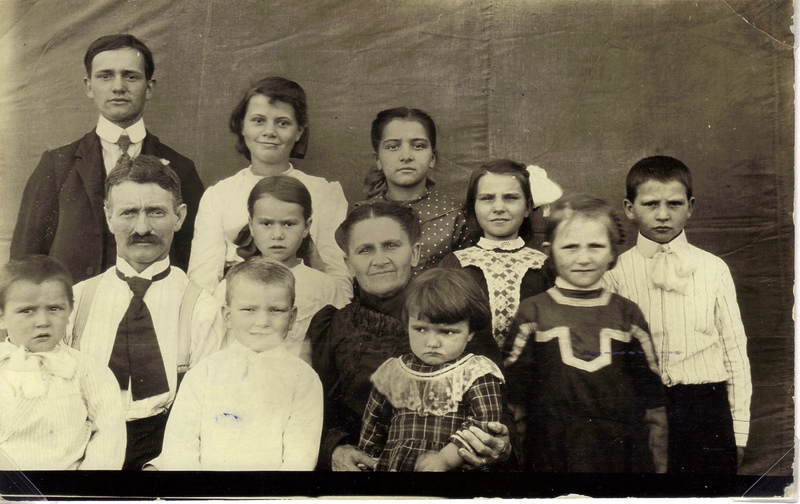 Here are some of the multiple-grandparents I’ve found. So through this link Delia’s parents were 4th cousins. So the parents of my great grandmother, Delia Bacon were fifth cousins. In this case, the parents of my great-great-grandmother Cordélie Olivier were 2nd cousins once removed. So my 3x great-grandmother Marie Ann Gilbert Comtois’s parents were 5th cousins. This means Jean Gregoire Bacon’s parents were 5th cousins once-removed. So the parents of Marie Anne Gilbert Comtois were 4th cousins once removed (and also 5th cousins, as we’ve seen).